Ie-kei ramen means family ramen in Japanese. 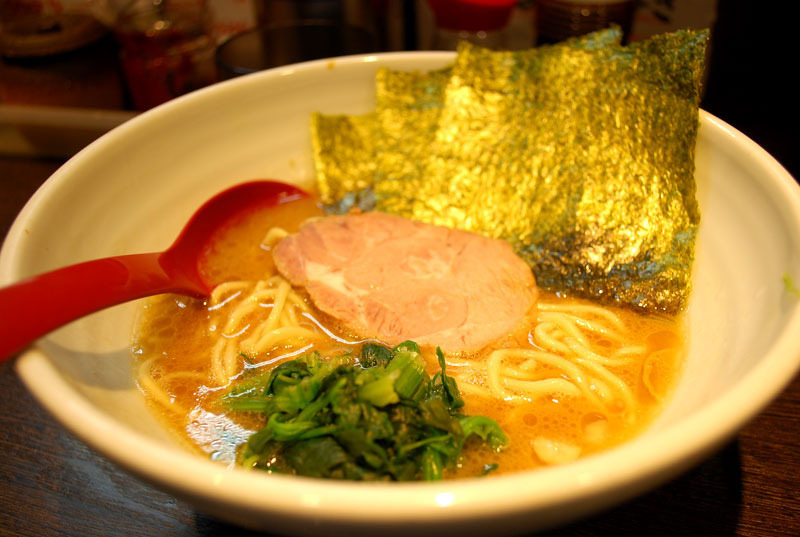 Ie-kei ramen are well known by its thick noodle and rich taste of soup made of pork born broth and soy sauce. 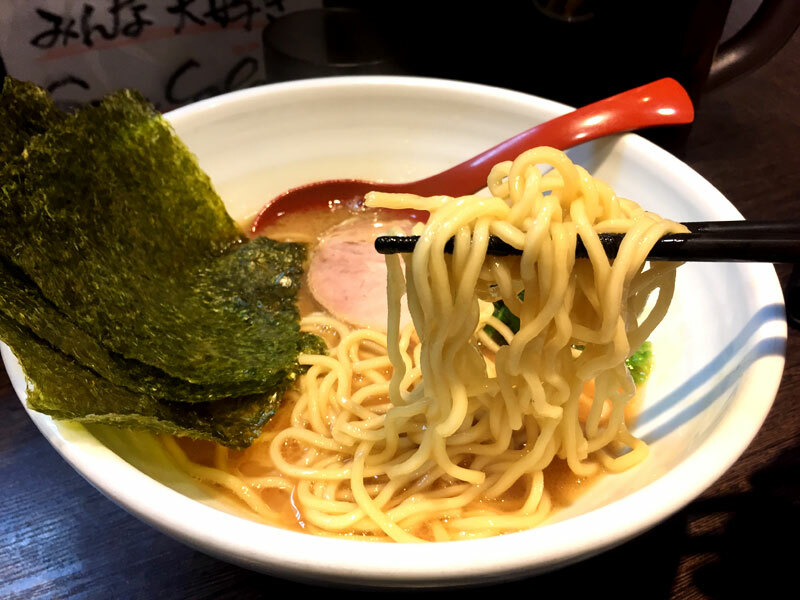 Most of the ramen restaurants which serve this style of ramen has “House” on its name of the restaurant. 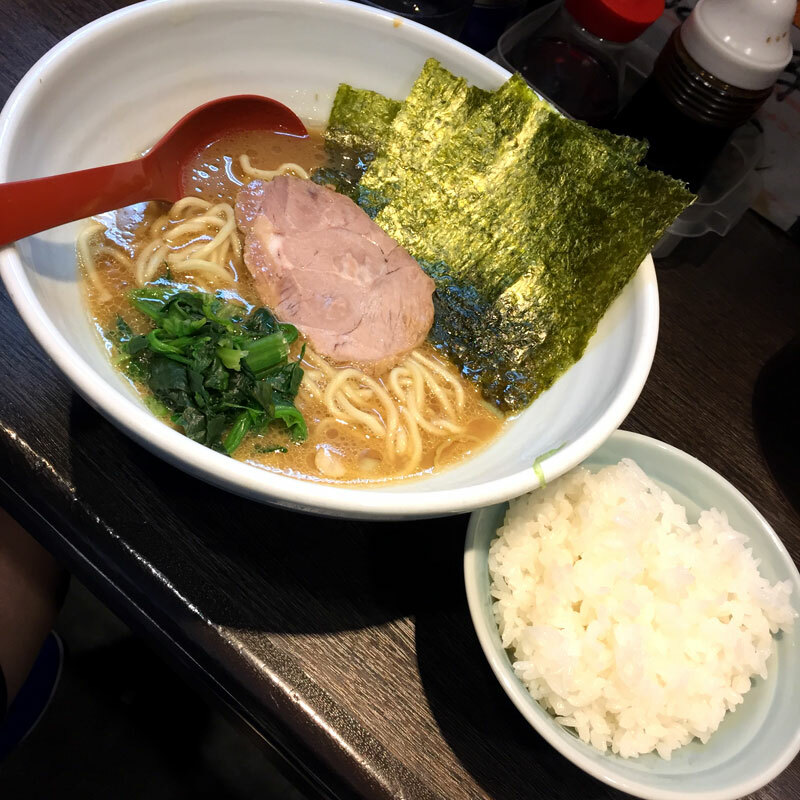 Therefore, if the ramen restaurant serve this style of ramen it is being called Ie-kei ramen no matter what the name of restaurant is. And Ken-yu is one of it. 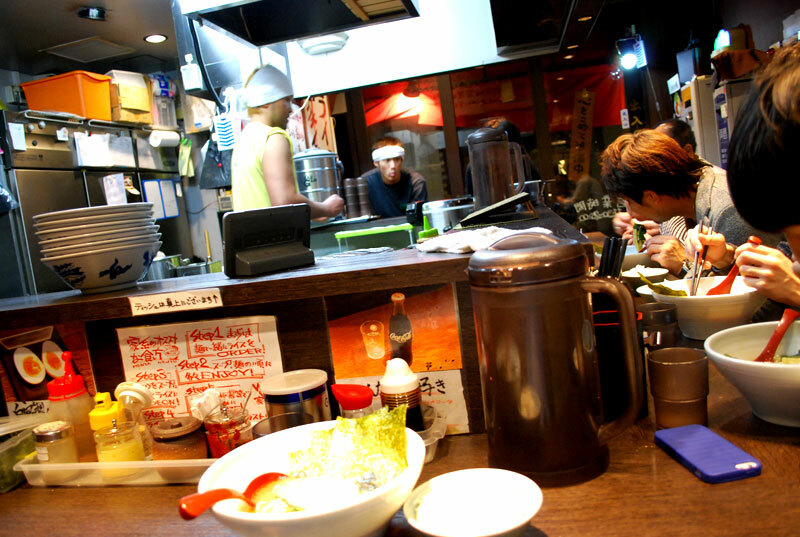 There are several toppings such as seaweed, white onion, raw egg, and roast pork. 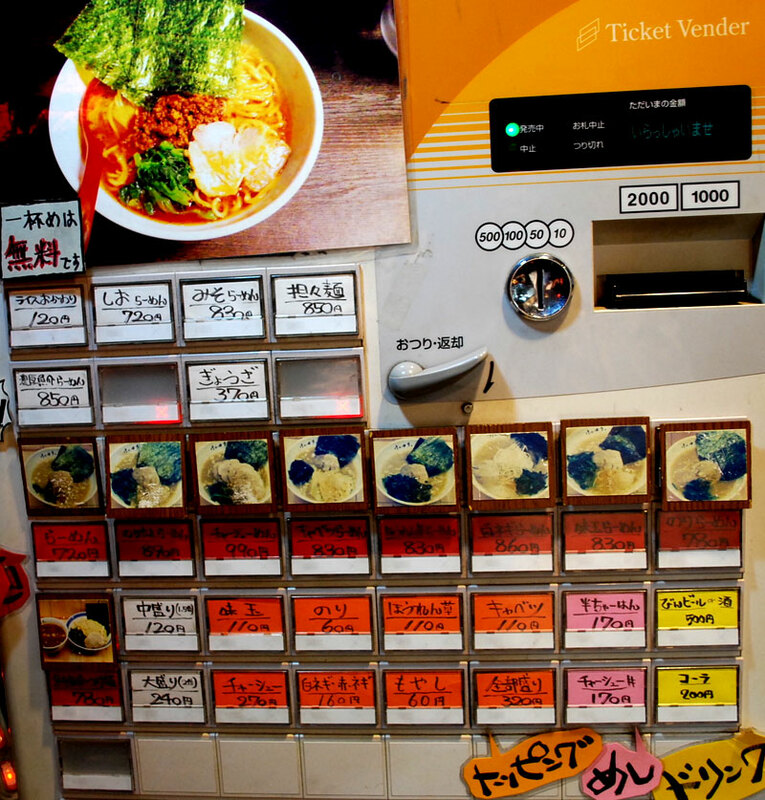 Ie-kei ramen is famous for its price and amount. 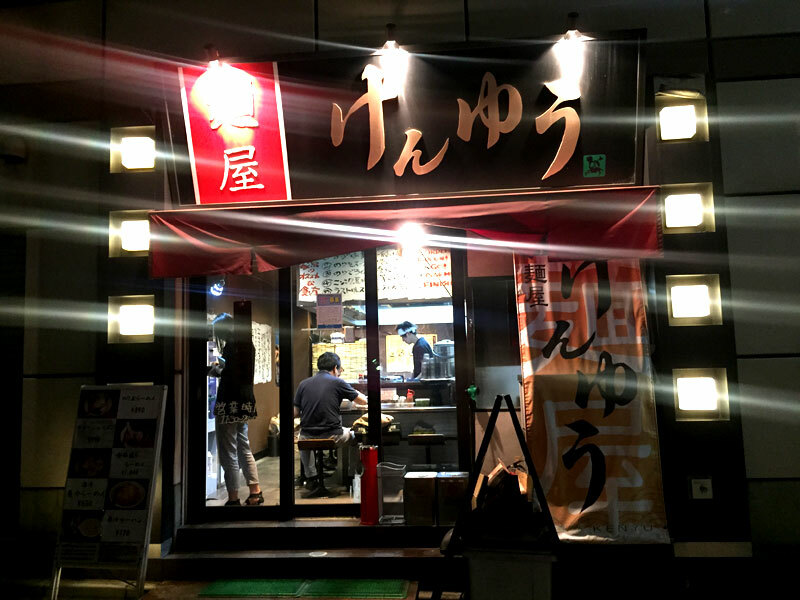 Rich taste of ramen and free rice will promise you to satisfy your appetite. 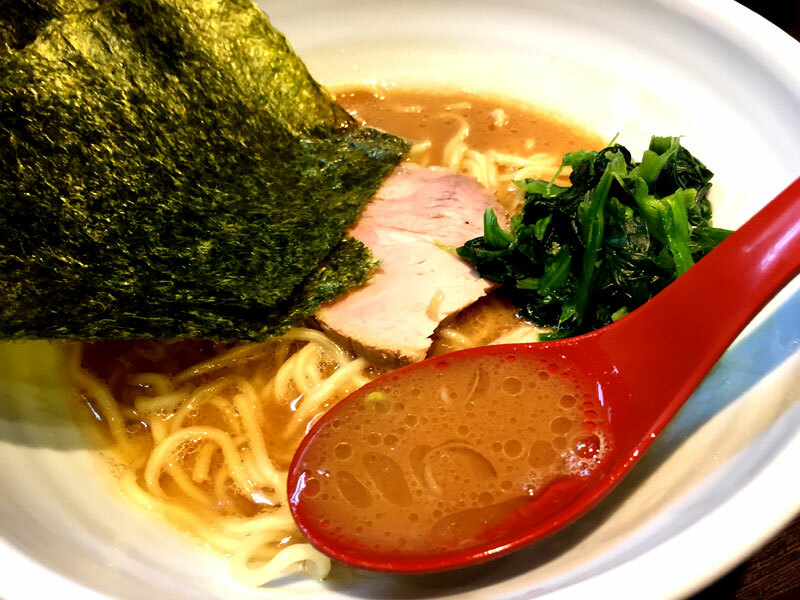 Ie-kei ramen is also notable for its system to be able to choose the strength of soup, oiliness, and hardness of noorle. This is the rich taste of soup and rich oiliness. This time, I chose soft noodle but I recommend hard.